This week is real nappy week so I will be be having a theme to my #365 posts this week... Fluff! I will be flashing our fluffy stash of cloth nappies each day! 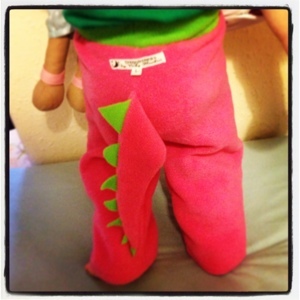 Today Elizabeth went to bed in a Little lamb fitted nappy covered with a pair of Snuggleblanks Dino flongies! So cute!